Christmas always makes me want to dust off the sewing machine and whip up something special. I love gifting homemade goodness and adore having handmade touches in our holiday decor. Several years ago, I made Christmas Stockings for the family, and I’ve been thinking about making a tree skirt this year. There are some seriously brilliant, crafty ideas on the web – and after searching high and low for the best DIY Tree Skirt tutorials – we complied twenty incredible, fun, festive and modern tutorials to teach you exactly how to make the perfect tree skirt for your home. From no-sew – to crochet, quilted, fur-trimmed and more. 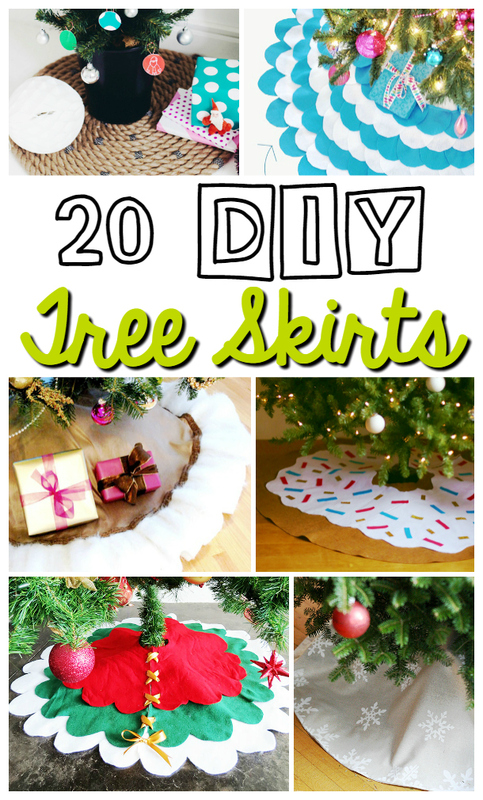 Check out these fantastic Christmas tree skirt ideas below.